While there is no live entertainment, many diners praise the ambiance and how it is enhanced by background music from the American songbook of popular great standards. For more than 6 decades we have be offering guests the best steaks in town, providing impeccable service with an unmatched wine list. Our happy hour has a loyal late-night following. With more than 65 years of continuous family ownership, RingSide Steakhouse Downtown is a legend in the world of steakhouses. Start with RingSide's world famous onion rings...a recipe that is a closely held family secret. Select a steak from a menu offering USDA Prime & Certified Angus Beef NW Natural steaks dry-aged on-premise. Choose a wine from more than 700 labels. WINE SPECTATOR has recognized RingSide Steakhouse yearly with its BEST OF AWARD OF EXCELLENCE SINCE 2001. Bone-In Steaks and New York Steaks are USDA Prime Dry Aged 28 days in-house. Steaks are served with a natural tallow and beef jus glaze. Prime Filet Mignon, 10 oz. Prime Rib Eye Steak, 14 oz. Bone-In New York, 16 oz. Bone-In Rib Eye Steak, 20 oz. Bone-In Rib Steak For Two, 34 oz. Give her Rosé instead of Roses on Mother's Day. RingSide Steakhouse will be open Special Hours from 3:00pm to 9:00pm. The “Prime rib Monday” was a real hit with everyone. The service was outstanding! We will be back soon! Ring side never disappoints. Perfectly cooked steak great sides, And delicious wine. We ate at the bar, and the bartender was wonderful. Birthday dinner of steak and lobster! 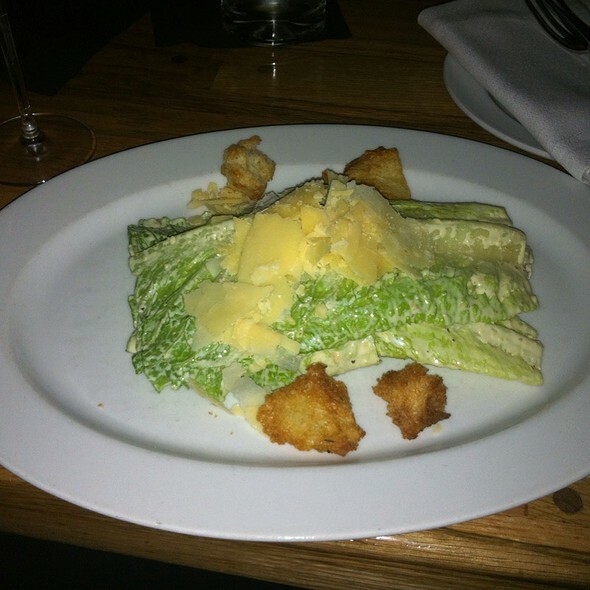 Service was exceptional, food was exceptional, and the ambiance exceptional . Steaks are mediocre compared similar Steakhouses. Everything we ordered was delicious. My husband (who normally doesn't like onion rings} loved their onion rings! He got the surf and turf while I had the lobster tail. We each sampled each other's meals and I couldn't tell you who's was better because they were both fabulous. 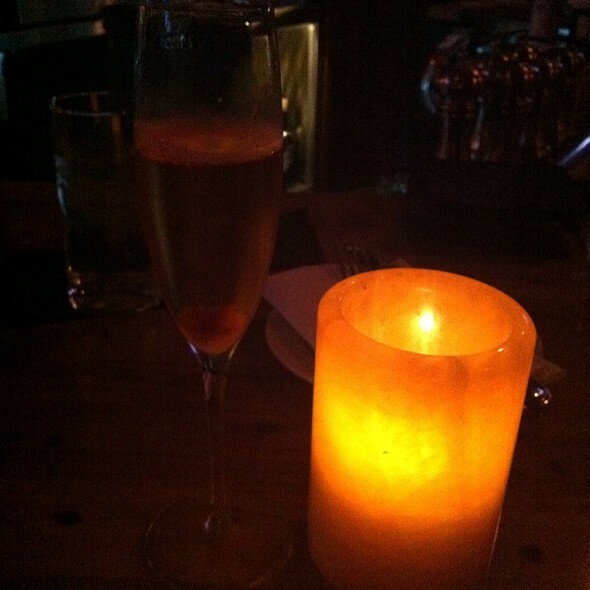 And they were so generous to us for our anniversary: free champagne and creme brulee! We also loved that they served Stumptown coffee. I can't wait to come back again. The reservation was made on Open Table for 100 points. After dining, I was notified that I would receive zero points. No explanation was provided. Food was amazing! Service was great! And they gave us all complimentary champagne for my friends birthday! Definitely a recommend, and will be back when I visit Portland again! 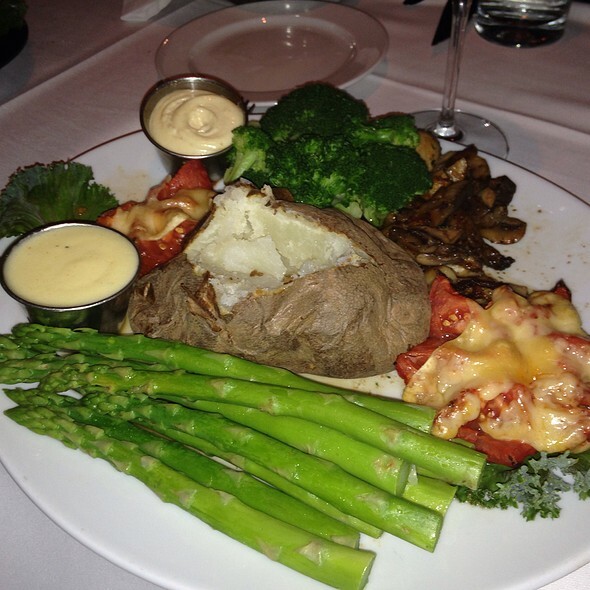 RingSide Steakhouse has been a family favorite of our for over 20 years. If we're celebrating a special occasion, entertaining out of town guests or just looking for a fun date night, RingSide is our go to. 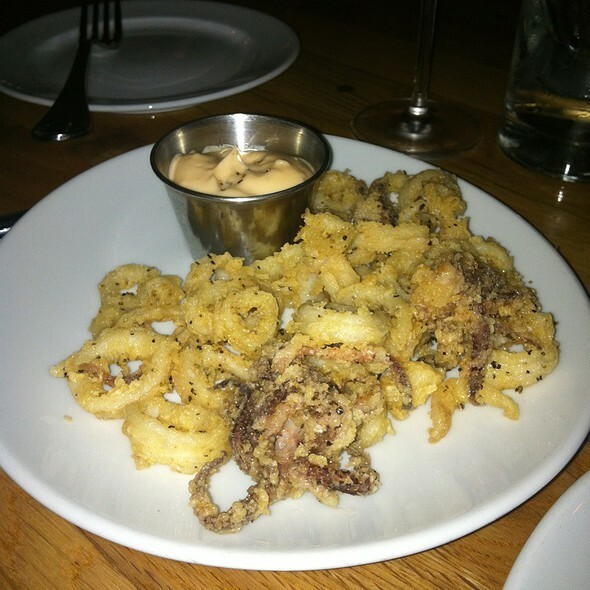 The food, the service and ambiance are not simply the best in Portland, but consistently excellent at each visit. The service staff is well-trained, knowledgable, professional, friendly, prompt yet unobtrusive. As part of their on-going training, team-building activities, many of our servers have visited the wineries, ranches and grocers who supply the ingredients for the fine meal you'll enjoy here. The $35 3-course meal can't be beat and it's fun to splurge on a dry-aged filet, rib eye or prime rib. Our son loves the French Onion Soup and it's hard to turn down the lobster mashed potatoes. I’ve been going to Ringside for about 20 years. The food is always great, the service is usually great as well (with the exception of Jimmy of course) and the ambiance is terrific. Great meal and great service. Melt in your mouth food! Shared with great friends. Thank you. Requested veggies instead of potatoe/rice choice with steak and had to pay $11 extra and no potatoe. Seems for the prices they could substitute. Server was very nice and busy but sweating profusely . Been going for 40 years now. Just took a friend for dinner. It was his first time and he loved it almost as much as I do. Excellent service! Fantastic onion rings! Best I have ever had. 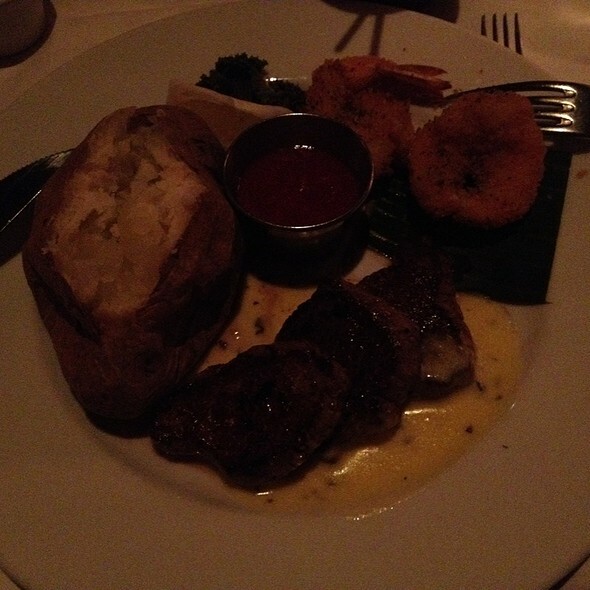 Good steak and shrimp! Bread and salad were good not great . Service was outstanding, the restaurant is beautiful and atmosphere romantic. Solid food, good service. Drinks took forever but know that there is only 1 bartender for the whole restaurant... maybe on weekends they should double up on bar help? Can see why Ringside consistently rated in the top 10/20 in the nation. The chef's tasting board appetiser was a great way to start. Various cheeses, pate, meats, duck breast, Foie Gras mousse, and more. Need to do the onion rings with it next time. Steak cooked to perfection, the flavor was impeccable, no salt, sauce or anything needed. Worth every penny. Not really impressed service was excellent food (steaks)was just so-so aged beef was tuff and hard to eat . Way overrated I think not what I expected. Food, ambience and service were very good, but not as good as a select few of other steak houses that we frequent. We didn't like the small metal plates, like at Sizzler. We didn't love the onion rings, but did love our steaks and creme brulee. Raw oysters had to many shell bits and the ginger lime mignonette over powered the oysters. Great restaurant, worth a try. RingSide is our go-to place when we have something special to celebrate. 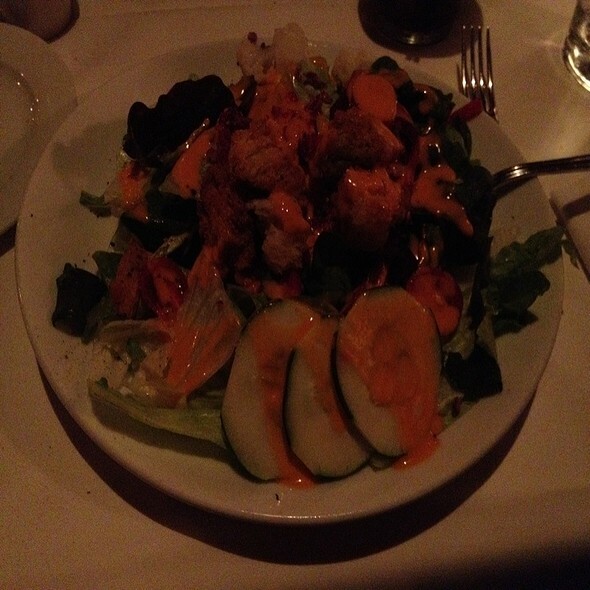 The service is always outstanding, and the food is delicious. We took my 4 yr old son and 85 yr old father, and they both enjoyed it immensely. Service was excellent as Scott did a fantastic job staying on top of our party of 7. Steaks were good but did not find them exceptional. Very nice! Enjoyed the evening. Poor value. My bone in ribeye was a mediocre cut of beef. For the price I’ve had much better dining experiences at El Gaucho and Morton’s. Best dining experience in Portland, hands down! Service and food were amazing. The Prime Filet was excellent .... melt in your mouth excellent! As always, their Onion Rings are a big hit. If there are only two people dining, the small order is still about twice what you will consume. Additionally, Ringside's Complimentary Valet Parking is a real value in this area, so it's very easy to arrive and depart. We tipped the Valet of course, and hopefully most people do the same. The bar area is very iconic, and brings back a few memories. All in all, it's simply a great place, with great food and great service. You will enjoy your experience at The Ringside. We were seated directly across from the kitchen door. Traffic in and out was distracting. The food was okay. We've eaten there previously and felt disappointed in our meal and do not feel it live up to the cost of our meal. As usual the RingSide is great. Great steaks, grate service, décor is about the same as it has always been and many of the service staff have been there forever. I usually go there two or three times a year. It is not inexpensive, but it is worth the trip every now and then I have been going there off and on since coming to Portland in 1969 and the meal, service and décor have stayed pretty much the same. Heck, the staff doesn't change much. RingSide is like a comfortable pair of shoes with really tasty soles. Ahh, so nice these days to have a restaurant to return to that hasn't succumbed to making noise and din and throbbing music part of the ambiance, where the waitstaff is still cordial but respectful and eminently competent, and where the food is always excellent without being experimental. Can you tell this reviewer is geriatric? Steaks were great. May have been over priced? I go to Ringside when I want an elegant dining experience. Known for its meat, it continues to offer excellent quality,cooked to my specifications. Service is tops and the servers are long time employees of the restaurants. Our latest server referred to herself as a baby but had been there 10 years. Ringside is expensive but the reason is you get a great experience and excellent food. Staff was incredible. Wine steward was amazing with suggesting our wonderful wine. Our server Chis was so great. The food was amazing. We drive down from Seattle and always make sure we eat at the RingSide. We love everything about it. Amazing food, amazing service. Our waiter Scott was the best! Can't wait to go back. We are regulars and love the Ringside! We went there for the Portland Dining Month menu because it looked really good but it was not! 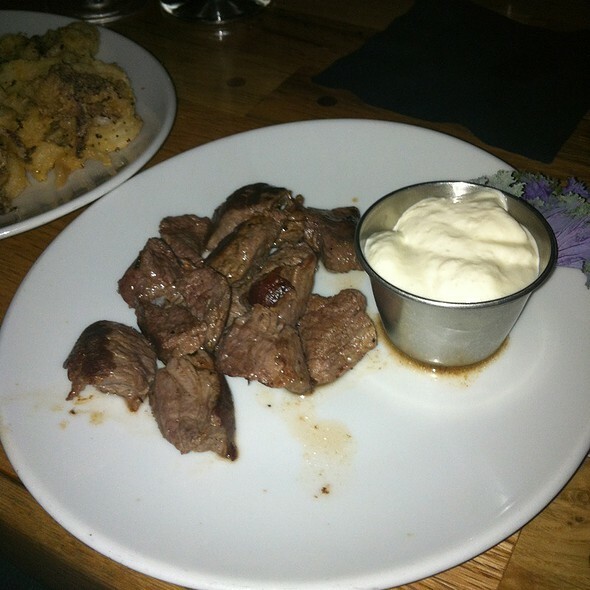 Tender Steak Medallions were anything but. In fact they were full of tendons and lacking in flavor as well. We found out it was Shoulder meat, Yikes! Medallions of shoulder? The Garlic Mashed Potatoes were dry and awful and tasted like they were out of a box. Even the Creme Brulee was not their best effort. Very disappointing. The service was as always excellent! I thought the dining month menus were to bring new people in and win them over so they would want to return? We are not giving up and will try again as our history with Ringside has been good.